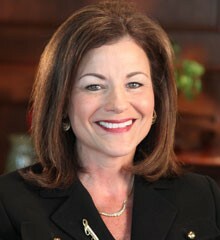 Ruth began her career with Thomas Financial in 1981 and is a Principal of the firm. She works closely with clients and their advisors throughout the wealth-transfer process for high net worth individuals and families as well as executive benefit and succession planning for public and privately held companies. Ruth is also the firm specialist in Life Settlements and Long Term Care. Ruth is a Qualifying & Life member of the Million Dollar Round Table (MDRT) Top of the Table and is involved in many professional industry associations including the Association for Advanced Life Underwriting (AALU), the Tampa Bay Estate Planning Council, Society of Financial Service Professionals, Tampa Association of Insurance and Financial Advisors (TAIFA), Florida Association of Insurance and Financial Advisors (FAIFA), the National Association of Insurance and Financial Advisors (NAIFA), Women in Insurance & Financial Services (WIFS) and the American Association for Long Term Care. Ruth received the Chartered Life Underwriter (CLU) designation from the American College and holds the Corporation for Long Term Care Certification (CLTC). She attended Birmingham Southern College and is a Life Loyal Member of the Alpha Omicron Pi Alumni Association. Ruth serves on the Board of Fellows at the University of Tampa.